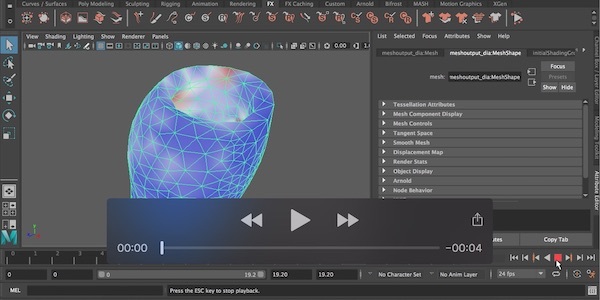 Computational models are used everywhere, from games to movies—e.g., special effects, animations—and deformations are the basic tool for animating objects, so we focus on a particular aspect of the vast morphing research field. 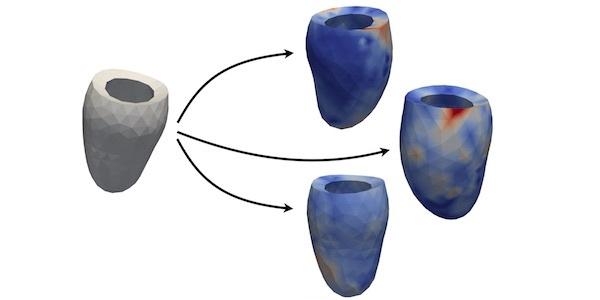 The key point is: given two different meshes X and Y undergoing two deformations (called diffeomorphisms in this research area), we would like to answer this question: “when it is possible to say that X and Y are undergoing the same deformation”? Let’s assume we deform an object, constituted by three triangles, as in the first two steps; next we want to apply the same deformation to object in the third step. As we’re in the plane, and we’re dealing with triangles, everything should work just fine, except it does not work at all even in a plane, as we can see in the fourth step. Copy and pasting animations is not easy as it might seem. 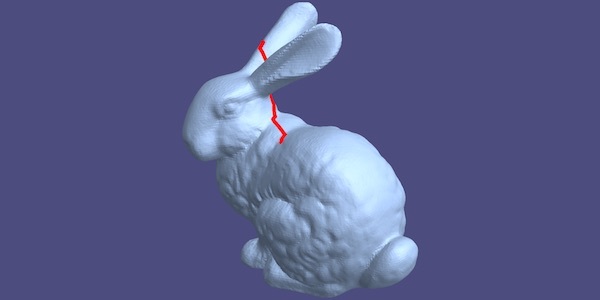 We assume a different point of view: two templates undergo the same deformation if, given a bijective map between the two underlying affine spaces (i.e., we can map points on one mesh to points in another), the local metric (non linear strain) induced by the two diffeomorphisms is the same for corresponding points.